Professor Colin Scott, as Vice President for Equality, Diversity and Inclusion, opened proceedings and spoke of diversity as a key asset of learning. He then introduced Paula McGarry who played a key role as part of the advisory group which developed the policy. Paula cited Trinity’s own Gender Identity & Expression Policy as having been a best example guide to the group but noted that the language has since been slightly outpaced by social progress. She spoke of striking a tone of inclusion and respect in the policy as well as the importance of representing the real-life experiences of students. UCD President, Professor Andrew Deeks, then took the podium, inviting Minister Katherine Zappone to formally launch the policy. Minister Zappone noted that the 2015 Marriage Referendum did not mark the end of the battle for equality; a statement that was audibly affirmed by many attendees. Professor Scott then invited Dr Lydia Foy, the ground-breaking trans* activist, to speak. Dr Foy recapped her own struggle to have her gender recognised and reminded us of the importance of avoiding complacency and treasuring progress. And so we came to the second event of the night – the presentation of the Foy-Zappone Award to the activist and historian Tonie Walsh by the Auditor of UCD’s LGBT+ student society, Ari Sheils. Tonie delivered a humorous and affecting speech on his own experiences as an activist as well as how his life had forged his determination to be a witness to other people’s bravery as well as an enabler and one who emboldens others. This he surmised as “being a witness to our queer fabulousness”. He took the opportunity to recognise the struggles of Lydia Foy and Katherine Zappone, also mentioning Kathleen Lynn and her own overdue recognition for her extraordinary achievements and representation as a UCD SU sabbatical officer in the pre-decriminalisation era. He spoke of many milestones and important events in Ireland’s queer history which I, unfortunately, don’t have space to do justice to here, but I would like to relay the rousing message on which he finished, that being the call to be a voice for those less fortunate and to support the upcoming efforts to repeal the 8th Amendment. We heartily joined the standing ovation which ensued, before moving to the hall outside to enjoy a performance by GLORIA and refreshments. It is fantastic to see such a united and compassionate effort from our colleagues, and as Trinity is currently working on an updated version of our 2014 Gender Identity and Gender Expression Policy we’ll be looking to join the stellar work in UCD in articulating the changing landscape of trans* rights in Ireland. Congratulations to our friends in UCD on such a wonderful event as well as on producing such an excellent policy. The annual TCD Students Union election period has once again descended upon the campus, bringing with it fresh examination of activism and representation campus. Hustings serve as an opportunity for candidates to Students Union sabbatical positions to be quizzed in depth on their policies and experience in various areas with the aim of giving voters a fuller picture of how they would represent their interests if successful. The student LGBT Society, Q Soc, introduced the concept of an LGBT specific hustings in 2012 which has evolved in the intervening years into the broader Equality Hustings, which this year was co-moderated by the University Times and Cumman Galeach. Dipo Adebisi, TCDSU Ethnic Minorities Officer, a representative with questions from the Trinity Disability Service, and Equality Office. Questions raised from an LGBT perspective included: how to ensure LGBT students from variable socio-economic or ethnic backgrounds are equally included in student life, how candidates will advocate for transgender students in dealing with their department during their social transition, how LGBT students can be encouraged to socialise and integrate without a reliance on alcohol-based events, and encouraging higher levels of diverse LGBT representation in student politics. This year's sabbatical officers were elected last night on the 22nd of February. 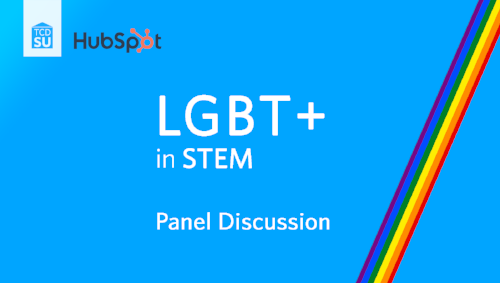 A stimulating event on "LGBT experiences in STEM" took place on Thursday 8th February. A discussion on the experiences of LGBT people in STEM careers and their journey through education, the evening included two speakers from the Trinity faculty: Dr.Vladimir Dotsenko,(Assistant Professor, School of Mathematics) and Dr.Frederick Sheedy (Ussher Assistant Professor, School of Biochemistry and Immunology), in addition to speakers from HubSpot and IBM. The panel gave insight to their contrasting career experiences as LGBT individuals in STEM fields, taking further questions from the audience on the developing, and often challenging, area of representation in the scientific disciplines. Many thanks to Paul Shanahan, Faculty Convenor (EMS) TCD Students' Union for organising. It's been approximately 6 months since RCSI (Royal College of Surgeons in Ireland) launched their Equality and Diversity unit and they have moved forward swiftly into the LGBTQ space with the establishment of a Staff Pride Network. 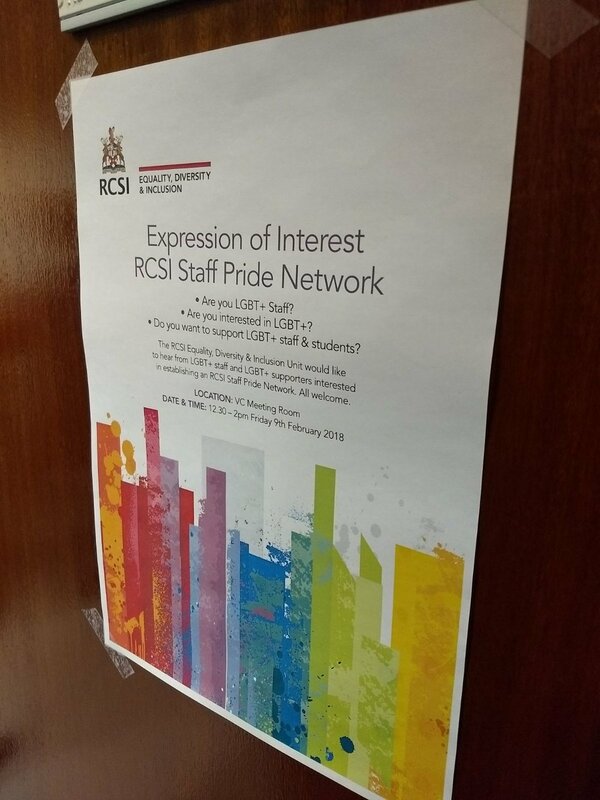 An expression of interest meeting of staff interested in promoting LGBT+ issues in RCSI was held on 9th February, hosted by Avril Hutch, the Head of the RCSI Equality, Diversity & Inclusion (EDI) unit. The event was well attended by staff from different areas of the college, including staff dialling in from remote campus locations. The meeting was led by a presentation from the Trinity LGBT Staff Network committee on our experiences in higher education, and by AIB on their journey as an LGBT+ Network in the HEI Commercial context (Mr. Tadhg MacCurtain). This was followed by a Q&A session on issues such as the importance of institutional recognition and support from senior management, governance structure, events and publicity obstacles and how to overcome them, and the significance of non-LGBT ally support, particularly on remote campuses or in locations with cultural and legal challenges to LGBT activism. 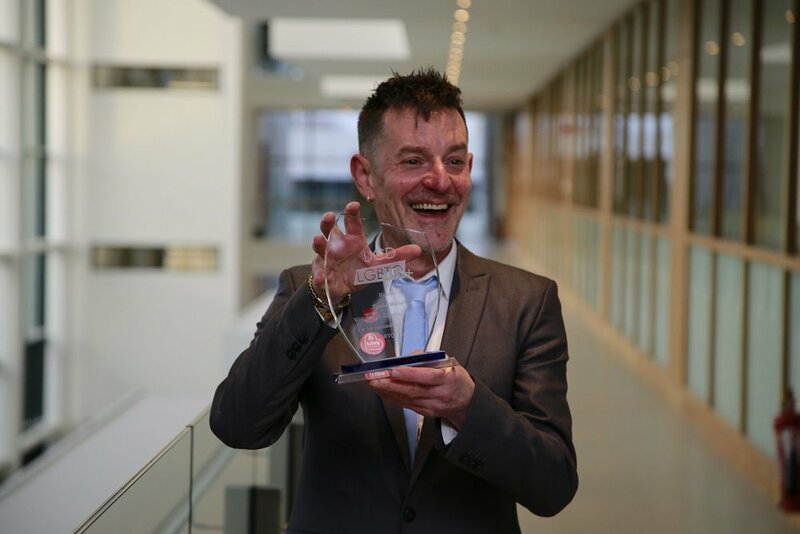 It's fantastic to see how LGBT representation has progressed in the third level education sector in the past few years, and the Trinity LGBT Staff Network is delighted to see RCSI joining the field. There is significant value in networking across institutions in this area (not to mention the opportunity for fun social events!) and we're keen to see how the RCSI Network develops in the coming weeks and months. On March 9th 2017, the Network Chair Joel and committee member Evan took a 9.25 a.m. train out of Heuston to NUI Galway, for a workshop entitled ‘Our Journey So Far’. After reaching out to NUI Galway during the Summer of 2016 in relation to understanding what LGBT Staff provisions exist, we briefly met with the newly appointed Vice-President for Equality & Diversity Prof. Anne Scott. At the time, there was no Staff LGBT Network presence on campus and she was keen to learn about our experience. After giving her insight into our progress from late ‘15 until mid-‘16, she asked if we would be willing to make the journey to NUI Galway when the time was right. Thus, today we had a very productive session with NUI Galway’s Diversity & Equality Office, University staff along with representatives from the local community organisation AMACH, and we very much look forward to getting progress reports, as they begin their journey towards the creation of a Staff LGBT Network. 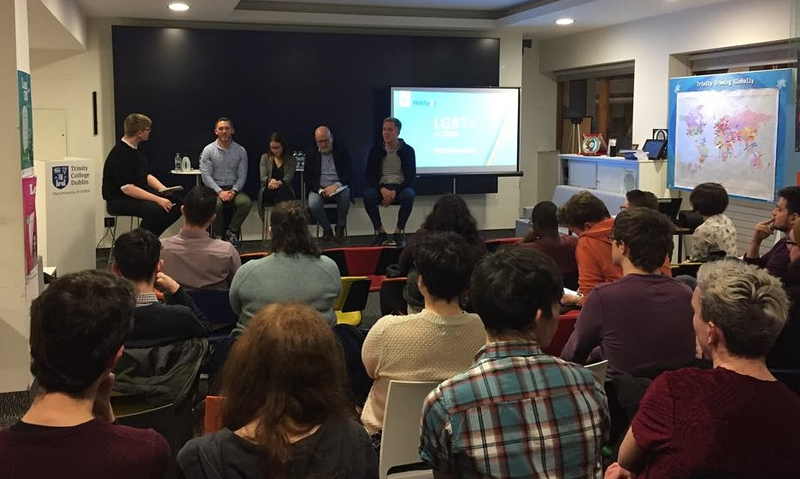 On Feb 22nd 2017 the Network Chair Joel, Equality Officer Aoife and committee member Evan made the journey to eir’s Dublin based HQ, not far from Heuston Station for an IBEC and GLEN event on Straight Ally. We were welcomed by Eavann Murphy, CCO eir business and the ESB, Google, Sodexo & State Street shared their stories. Workshops were facilitated and focused on exploring various elements around developing Straight Ally participation within staff LGBT Networks through smaller breakout workshop sessions. In each session, companies across the spectrum of LGBT Staff service provision, participated in discussions around who is an Ally, the value of Straight Allys and how to engage Straight Allys in our different Networks. The focus of the talk was on the climatic change which has taken place in Ireland in recent years in the area of LGBT rights. Up to the closing years of the 20th. century Ireland was a hostile place for LGBT people. Homosexuality was a criminal offence and LGBT people were ostracised in Irish society. Foremost in homophobia were the churches; the Catholic church particularly, but not exclusively, so. The Protestant churches and the Jewish community were also homophobic. State institutions such as the Gardai and the Defence Forces were hostile places for LGBT people.